Tatiana Kosintseva in 85th move 85 Nd6+ froked the king and Rook. In rosponse Black moved its King to g5-square. Instead of Capturing Rook on the b5-square Tatiana played 86 Re6 Why? I donot understand. 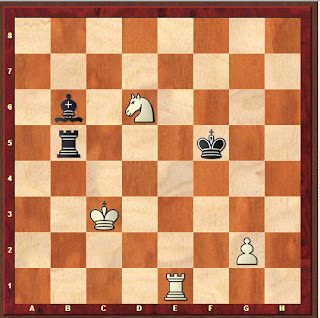 It was beyond my logic when white has one Rook, one pawn and a Knight, where Black has just a Bishop after rook gets captured. 85. Nd6+ Kg5 86. Re6 (86. Nxb5 Bd8 87. Kc4 (87. Re8 Ba5+ 88. Kc4 Bd2 89. 100. Kf6 Kd8 101. g6 Kc8 (101... Ke8 102. g7 Kd8 103. g8=Q#) 102. g7 Kb8 103. 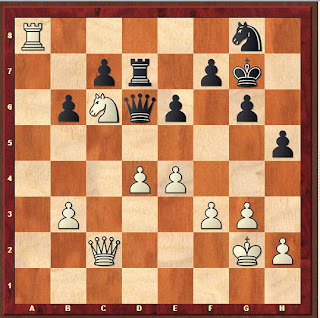 Asisa in 34th move played 34 ---Ng6 and in response to it Stefanova played 35 e5. If she had played 35 Ra7+ she has a great chance.